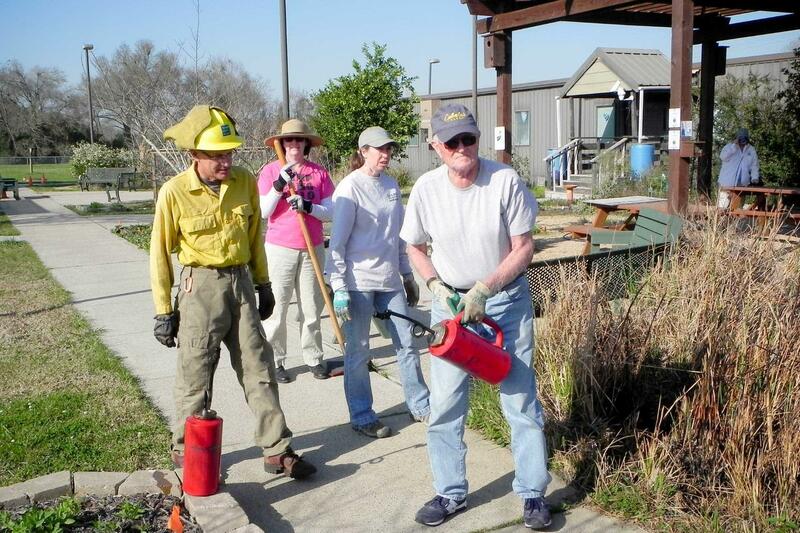 The Environmental Institute of Houston, along with the UHCL Fire Marshal, the Texas Parks and Wildlife Department and the Galveston Bay Area Master Naturalist, performed a prescribed burn on Thursday, February 9, at the EIH demonstration prairie site which is part of our WaterSmart demonstration habitat. 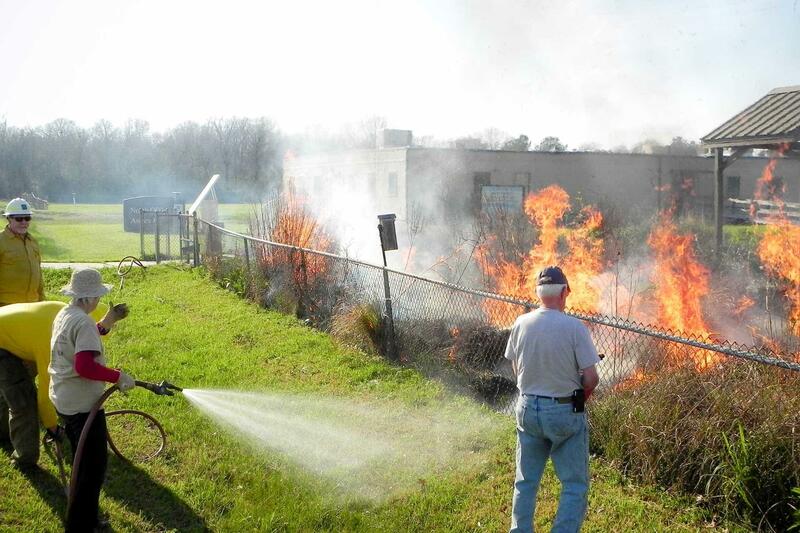 This fire was ignited as part of our education mission to show the benefits of a well-planned controlled fire. 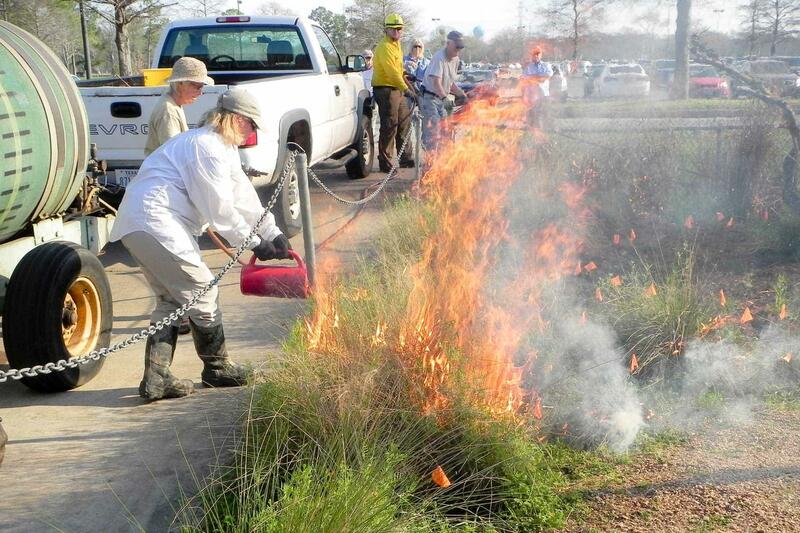 The area that was burned was native tallgrass prairie with grasses such as big bluestem, little bluestem, gamagrass, gulf muhly, and Indiangrass. These grasses historically covered most of the Houston/Galveston area. 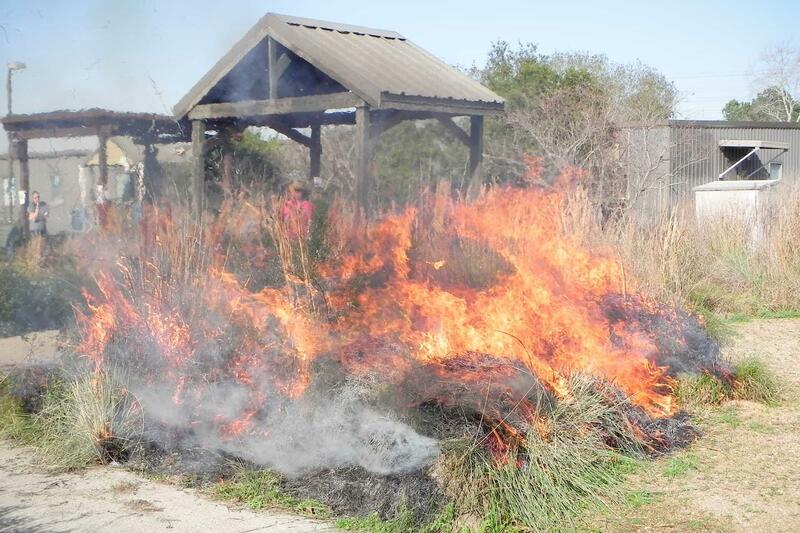 The prairie evolved to coexist with fire, and fire is necessary for the regeneration of new growth of native prairie species, control of weed species, restoration of nutrients to the soil, improvement of wildlife habitat, and for increasing native plant diversity. We are very enthusiastically waiting to see the new growth that will take place. 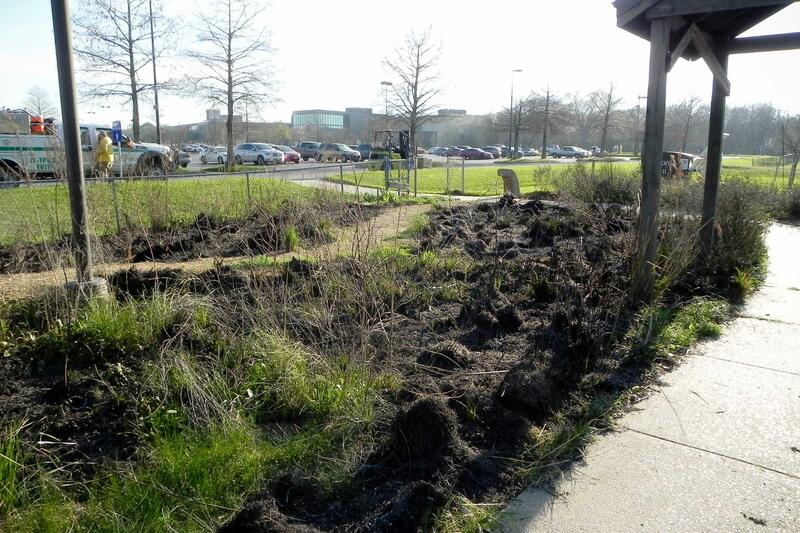 Please come over for a visit in the next few weeks, and check out the new plants in our native prairie habitat! 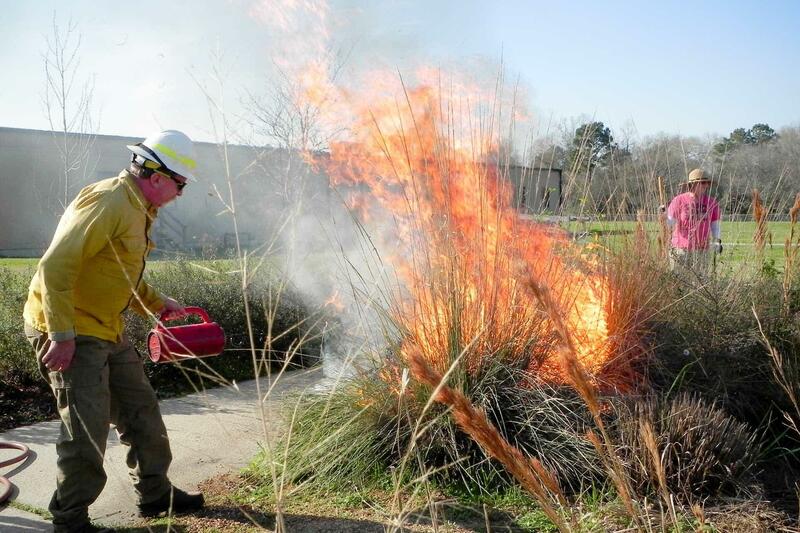 To learn more about prescribed fire, visit TPWD's website, Wildland Fire Management.